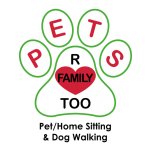 Pet sitter is authorized and agrees to enter home and perform care and services as outlined in this contract. In case of emergency, pet sitter is authorized to approve and/or emergency treatment (excluding euthanasia) as recommended by a veterinarian. Damages from any aggression that result in pet bite to the pet sitter or a third party not provoked or caused by negligence of the pet sitter will be the responsibility of the owner. This contract serves as an ongoing agreement for future pet sitting needs and allows the pet sitter to take phone reservations without additional written consent.